IRRI is working together with Vietnam to accelerate the translation of innovations that support sustainable rice value chain upgrading through policy recommendations and high technology options. During the Vietnam Industry 4.0 Summit and Expo 2018, IRRI’s Head of the Agri-food Policy Platform, Dr. Jean Balie, presented strategies and opportunities for the application of cutting edge technologies that support Vietnam’s vision of developing a smart agriculture sector. One of the successful institutional innovations that was discussed is the scaling the small farms-large field (SFLF) models in Vietnam. 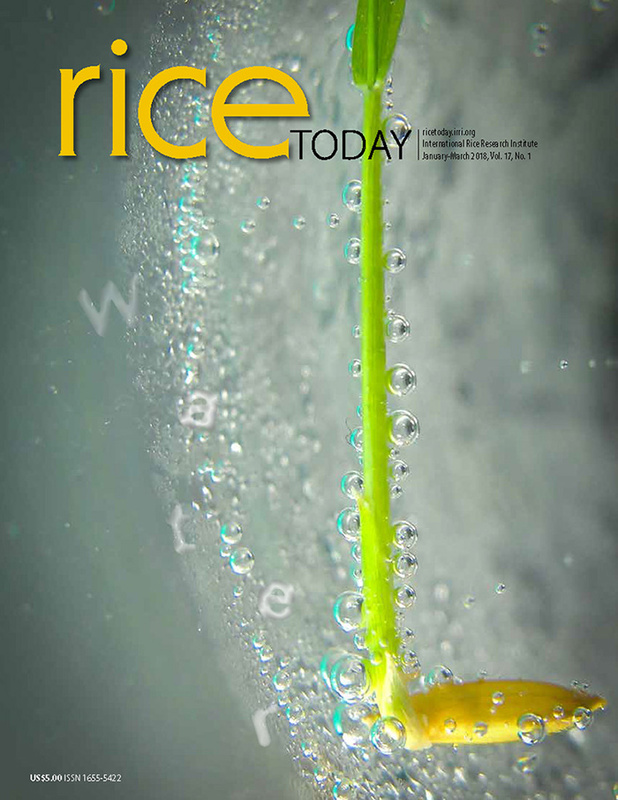 According to Dr. Balie, “SFLF can reduce production costs, provide a platform for knowledge-sharing, apply climate-smart agriculture principles, and reduce greenhouse gas emissions in rice production.” Other policy recommendations were increasing consumer awareness on certified rice, providing incentives for contract farming and reducing trade-offs, and promoting certification and branding of quality rice. Dr. Balie also highlighted AutoMon ─ a tool which can catalyze the adoption of water-saving technologies like alternate wetting and drying. “AutoMon allows for real time monitoring of water status, by processing data in the cloud and directly transmitting to the stakeholders through mobile device”, Dr. Balie explained. Remote sensing-based information was shown to carry substantial benefits for crop yield and damage estimation for farmers themselves and their crop insurance counterparts. Likewise, such remote sensing technologies provide timely and evidence-based information to policy makers on areas and category of farmers primarily affected by a natural disaster to allow for targeted, well-calibrated, and effective response. 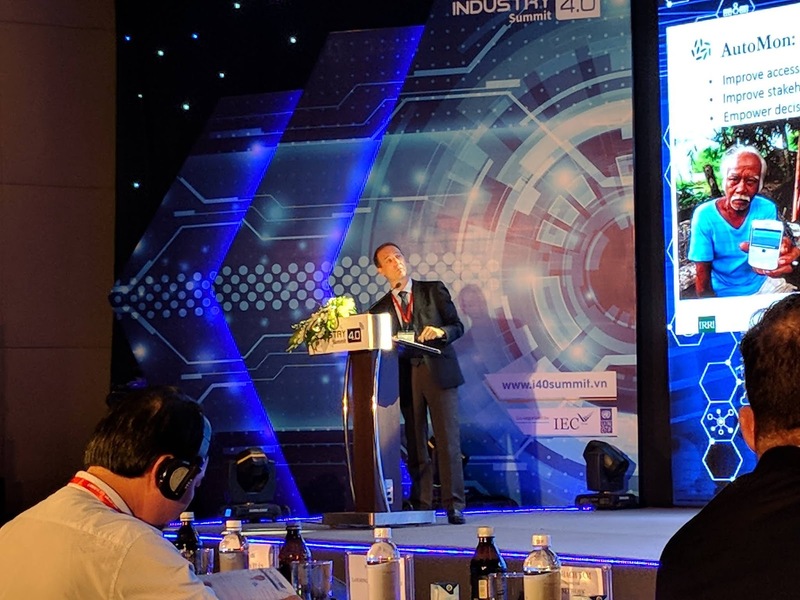 Organized by the Vietnamese Government and the Central Economic Commission in Hanoi on 12 to 13 July, more than 50 international and local companies and organizations showcased new high-tech technologies. Aside from agriculture, the expo also provided solutions and services for industry, energy, telecommunications, health, transport, finance-banking, and e-commerce.